This charming Greenhouse was selected by a customer based in Fulbourn, Cambridgeshire, to be a helping addition to their garden. Designed and built by hand at our Norfolk factory, the building was then both delivered and assembled at the specified delivery address by our in-house installations team. One of our charming Victoria Greenhouses was recently installed for a customer based in Ely, Cambridgeshire. Designed and hand-built in Norfolk using only the finest FSC® certified Scandinavian Redwood timber, the traditional wooden Greenhouse makes the ideal high-quality addition to any garden and enjoys delivery and installation as standard. This attractive Superior Shed was recently designed and hand-built at our factory in Norfolk before being both delivered and installed for a customer based in Cottenham, Cambridge. Fabricated using only the finest FSC® certified Scandinavian Redwood timber, the shed was selected from our range of high-quality superior timber garden sheds. This unique building was recently designed and hand-built in Norfolk for a customer based in March, Cambridgeshire who wanted an outdoor retreat that would double up as a work-from-home office. Hand-built to order using only the finest FSC® certified timber, the timber garden building was then delivered and installed as part of our exceptional service by the in-house installations team. This attractive timber garage was recently designed and hand-built at our Norfolk factory by expert craftsmen using only the finest FSC® certified Scandinavian Redwood timber for a customer based in Cambridge, Cambridgeshire. Delivered and installed by our in-house installations team, the building was assembled at the customer’s specified delivery address. This charming Flatford Summerhouse was recently selected by a customer from our National Trust range of sheds and summerhouses. Named after the Flatford Mill and Village preserved by the Trust, the building was designed and hand-built to order at our Norfolk factory before being both delivered and installed at the customer’s address in Wicken, Cambridgeshire by our in-house installations team. Selected by a customer based in Grantchester, Cambridge, this attractive Wiveton Summerhouse was recently installed by our in-house fitting team. Designed and hand-built to order at our Norfolk factory using only expert craftsmanship and the finest FSC® certified Scandinavian Redwood timber, the building makes a wonderful retreat for the bottom of the garden. 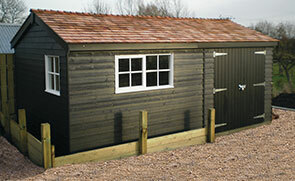 This attractive Superior Shed was recently installed for a customer based in Littleport, Cambridgeshire. Designed and hand-built at our Norfolk factory using only FSC® certified Scandinavian Redwood timber, the shed was then both delivered and assembled at the specified delivery address by our in-house installations team. This attractive Classic Shed was recently installed by our expert, in-house fitting team for a customer based in Bottisham, Cambridge. Designed and built by hand at our factory in Norfolk using only the finest, slow-grown FSC® certified timber, it is an attractive storage solution that utilises the outdoor space. Our expert in-house fitting team recently installed this traditional National Trust garden shed at the National Trust site of Anglesey Abbey in the immaculate grounds. 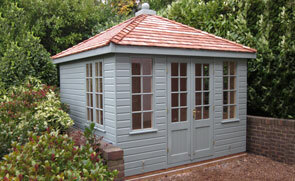 Part of our FSC® certified timber National Trust range of garden sheds and summerhouses, the shed comes with delivery and installation as part of the exceptional service. 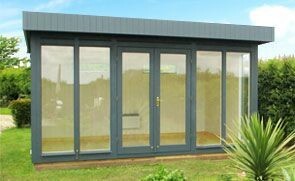 This Garden Room includes free delivery and installation by our in-house team and is part of our flagship range of Garden Rooms. 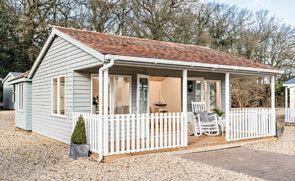 Each building is hand-built at our factory HQ & show centre near Swaffham in Norfolk. This traditional National Trust Lavenham Summerhouse was recently installed for a customer based in Ely, Cambridgeshire who wanted an attractive outdoor space for sitting, reading and enjoying their morning pot of tea. Just like the rest of our high-quality timber buildings, the summerhouse was delivered and installed as part of our exceptional service. There aren’t many extra features this customer didn’t choose with this 4.2 x 6.0m Morston Summerhouse in Sawston, Cambridgeshire: it is to be utilised as a peaceful garden retreat, the entertainment focal point, and outside dining area, depending on the occasion. Our customer in Cambridge was looking for a garden office to run their business and so chose our Salthouse Studio, which belongs to our larger range of Garden Studios & Offices.